Fill crusts with desired flavor of pudding (two 3.25-ounce pudding cups will fill 3 crusts). 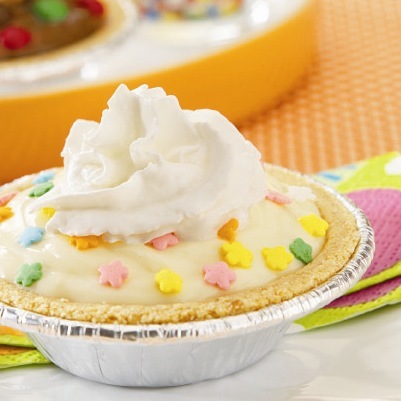 Top each pie with sprinkles and a serving of Reddi-wip. Other toppings may be used on top of pies in place of sprinkles. Each individual may decorate their pie as desired. Consider using mini chocolate morsels, English toffee bits, crushed chocolate sandwich cookies, fresh berries or hot fudge sauce for toppings.